"One Man Stands in the Gap Between Order and Chaos"
MISSION: IMPOSSIBLE – FALLOUT is an exhilarating roller-coaster ride starring Tom Cruise as American secret agent Ethan Hunt, who pulls out all the stops to stop the leader of an anarchist group from exploding three nuclear bombs and causing massive destruction and loss of life. MISSION: IMPOSSIBLE – FALLOUT is one of the best action movies ever made, and the hero’s unwavering, sacrificial dedication to protecting life, whether just one life or millions, saves the day. However, FALLOUT has too much unnecessary foul language, so strong or extreme caution is advised. MISSION: IMPOSSIBLE – FALOUT is the most exciting, most accomplished action movie of the summer, if not all of 2018. It’s also the most archetypal MISSION: IMPOSSIBLE movie since the iconic television program launched on Sept. 17, 1966. FALLOUT has several really nifty plot twists and fake-outs that, more than any of Tom Cruise’s earlier MI movies, match the kind of deception and intrigue TV viewers loved from the very beginning. The movie begins with Cruise’s hero, Ethan Hunt, saving the life of Luther, his friend and fellow team member, but at the expense of losing three missing nuclear bombs that a group of anarchists calling themselves The Apostles are trying to obtain. Apparently, during the fight, another mysterious anarchist named Lark escaped with the briefcase carrying the three nukes. He’s willing to pass the nukes off to a beautiful blonde arms dealer nicknamed the White Widow. Ethan and his team believe they can still get the bombs back from Lark, but the head of the CIA, Erica Sloan, objects to the plan. She wants Ethan’s IMF team to work with her top agent, Walker (Henry Cavill). So, Ethan’s boss, Alan Henley, reluctantly agrees. The plan is to intercept Lark in Paris before he can meet with the White Widow and have Ethan take his place. Lark actually sends a representative, who objects to being captured by Ethan and Walker and meets his untimely demise during an intense fight. When Ethan, posing as Lark, meets the White Widow, he learns that the real Lark wanted to exchange the nukes for British traitor Solomon Lane, the anarchist villain Ethan captured in the last MI movie. Lane is being transferred secretly to the French government in Paris. The White Widow’s plan to free Lane involves killing all the French guards protecting Lane during the transfer. Ethan’s already in the hot seat for losing the nukes. How can he and his team help free Lane without killing the French guards? Also, how can Ethan do that without Lane telling the White Widow and her team that Ethan works for the American government? Moreover, can Ethan stop Walker, the CIA agent, from fulfilling the CIA Director’s order to retrieve the nukes at all costs, including the lives of Ethan and his team? This is only the beginning of an exhilarating series of twists, fake-outs, stupendous chase scenes, and rousing battles as Ethan tries to save the world from a nuclear, environmental holocaust of epic proportions. The suspense in MISSION: IMPOSSIBLE – FALLOUT is excruciating. The action is almost literally non-stop. Yet, the movie has a lot of heart. Ethan Hunt not only puts service and duty above his personal desires and interests. He’s also unwilling to let millions of people die or even just one person die. In fact, even when one of his elaborate plans goes awry, and the nukes get away or are in danger of being used, he always says, “I’ll think of something.” Finally, by the end of the movie, it’s Ethan’s commitment to service and saving lives, at the risk of his own, that’s ultimately applauded and valued. It gives the movie a strong moral, patriotic, redemptive worldview. That said, like other recent action movies, the biggest flaw in MISSION: IMPOSSIBLE – FALLOUT is too much foul language, more than 30 examples. This time out, the foul language includes one “f” word and three strong exclamatory Jesus profanities. Also, there are several intense moments of ferocious hand-to-hand combat, along with some scary moments of literal cliff-hanging suspense (see MOVIEGUIDE®’s CONTENT section below). The movie does have a couple positive Christian references, and its moral, patriotic worldview contains strong Christian, redemptive, pro-life values. One scene mentions Rome, Jerusalem, and Mecca as the world’s three major religious centers for Christianity, Judaism, and Islam, but Islamic heresies and falsehoods play no role beyond this reference. The Christian, redemptive elements are the heart of the movie’s uplifting premise, that an unwavering commitment to life conquers chaos. MOVIEGUIDE® advises strong and extreme caution for MISSION: IMPOSSIBLE – FALLOUT. Deception and disguise play a role in some of the plot twists, and it’s not always clear what side people are supporting. MISSION: IMPOSSIBLE – FALLOUT stars Tom Cruise as American secret agent Ethan Hunt. Ethan is ordered to stop some anarchists from obtaining a briefcase with three nuclear weapons. Ethan saves the life of a kidnapped team member, but at the expense of losing the briefcase. Ethan and his team believe they can retrieve the bombs, but the CIA Director objects to the plan. She wants Ethan’s team to work with her top agent, Walker. Can Ethan retrieve the nukes and stop Walker from fulfilling the Director’s order to get the nukes at all costs, including the lives of Ethan and his team? MISSION: IMPOSSIBLE – FALLOUT is an exhilarating roller coaster ride. The suspense is excruciating, the action relentless. Tom Cruise and his cast are brilliant. Tom’s hero puts service and duty above personal desire. His sacrificial dedication to protecting life, whether just one life or millions, saves the day. That said, FALLOUT has an unnecessary amount of foul language, including a few strong profanities. There are also intense moments of ferocious hand-to-hand combat. 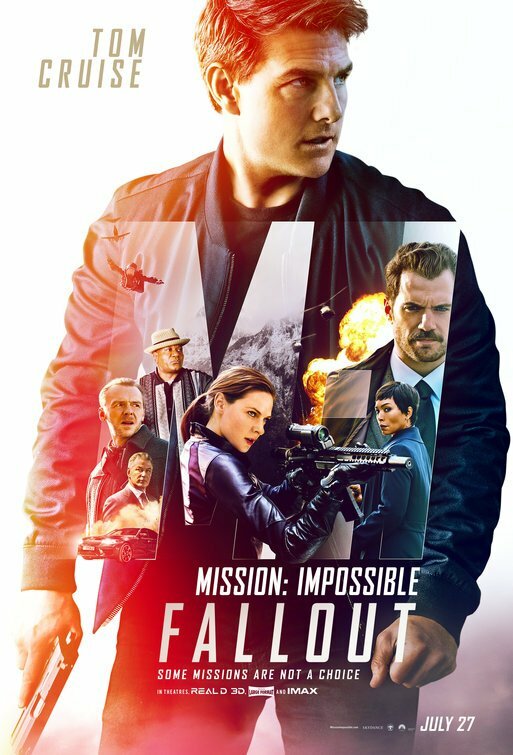 MOVIEGUIDE® advises strong and extreme caution for MISSION: IMPOSSIBLE – FALLOUT. Does Tim Tebow’s Faith Outshine His Athleticism?